Italian Soccer Means All Defence, Right? Without a doubt, the strength of Italian soccer has always been its stellar defence. Italy's success at the international level has always been based on a strong back line. However, throughout the years the Italians have evolved their style to include strong counter-attacking and a methodical build up. As a result, they've produced some of the most effective strikers the game has ever seen. The Italian's are perhaps best known for their "catenaccio" strategy of the 1960's and 70's. Known as a cautious style, the Italians rarely moved forward in large numbers, and usually had most of their men behind the ball. Fans of the game wanted to see scoring and, having adopted a strategy that prevented this, the Italians were always thought of as at best guarded and at worst, well, boring. 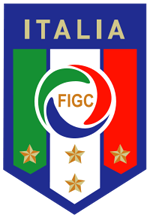 While critics believed it was a negative form of soccer, it proved to be extremely successful for a period of time, leading to many club titles for Italian teams and much success on the international level. The end result is that the catenaccio became one of the most important soccer strategies ever and, therefore, its tactical considerations should be studied. Catenaccio literally means "door-bolt" in Italian, which is to say that the Italians meant to literally lock up their opponent attack. The original catenaccio was actually not invented by an Italian, but was rather influenced from an earlier strategy created by an Austrian coach. However, it was only when the Argentine coach Helenio Herrera began to use the strategy while managing the Italian club Inter did the style really catch on. How did the Catenaccio work? Originally, catenaccio relied on a 1-3-3-3 formation (or 4-3-3, depending on how you look at it), to protect the back line. The big innovation was the use of the sweeper to roam free along the back to help any of the defenders with their man-to-man marking or to collect any loose balls. The original styles of catenaccio became obsolete in the 1970's when the Dutch Total Football revolution began to take hold. This free flowing system where players were not fixed in any one role made man-to-man marking impossible. While some of the original aspects of the strategy became outdated, it evolved into something the Italians called "Zona Mista" (Mixed Zone). Zone Mista strategy basically brought the catenaccio formation to a kind of more modern, fluid zone defence. The big difference versus regular zone defence is that the catenaccio strategy allowed for the double marking of stronger players using the sweeper. The Italians played this Zone Mista strategy to perfection in the 1982 World Cup Tournament, eventually leading them to their third title. While many still view Italian soccer as still being endlessly defensive, the Italians have become one of soccer's world powers. Italy's tactics have evolved, and its development leagues continue to produce some of the best players in the world. Having last won the World Cup in 2006, the Italians now generally use a fantastic counter-attacking style using long balls, and a slow deliberate build up when possible.